This half term we will be learning about jungle animals. 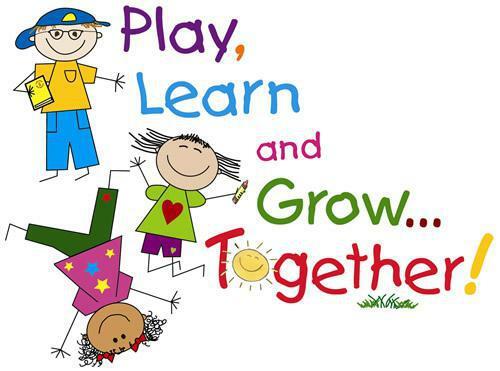 The children will also be getting ready for Year 1. They have already proved how grown up they are, by supporting the new children, who have visited this week, settle in class. I am looking forward to teaching class 1 for the rest of the summer term. Thank you very much for all the kind messages of good luck and support, and the beautiful cards and gifts that I have recieved. It has been a pleasure teaching Class 1 this year. I am looking forward to a good rest before baby arrives and hope to see you all soon. UPDATE - 3 of our caterpillars have finally changed into butterflies! We gave them some sugared water and banana to build their energy up before setting them free outdoors. 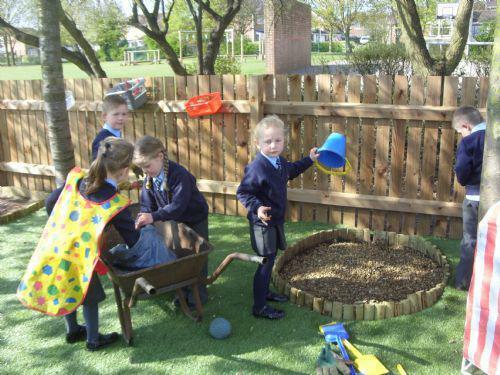 The children had a lovely surprise when they went outside and saw our improved outdoor area. We have begun planting some vegetables and flowers to make it look even nicer. There are some more photographs below showing how busy the children have been. I would like to say a big thank you to Miss Coupe who recently completed a teaching placement in our class. The children enjoyed her lessons and helped her immensely to learn about being a teacher. I would also like to welcome Miss Duong into Class 1. She will be visiting frequently until the end of term to get to know the children before she begins teaching full time after half-term. We spent the whole day learning about the festival of Holi to help us learn more about Hindus. The children loved the activities as Holi is the festival of colour - saying goodbye to winter and hello to spring. There are some more photographs below for you to view. We had a fantastic day celebrating English culture. I have uploaded some photographs of the day, including some of our assembly we performed for children in classes 2, 3 and 6. 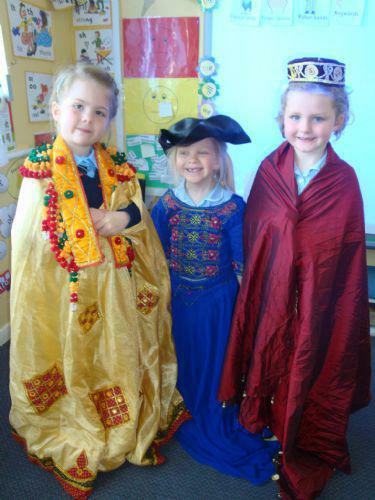 The children loved their Easter activities in class and enjoyed watching the Easter production from classes 4 and 5. 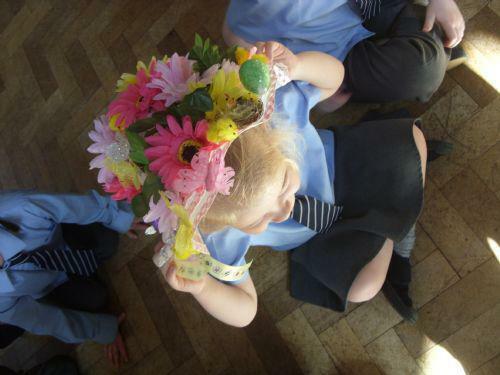 Well done to everyone who made an Easter bonnet and congratulations to our class 1 winner. 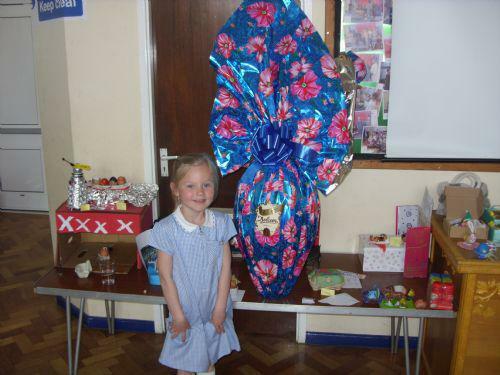 We also had a very special prize won in class 1 at the Easter fair. Many thanks for sharing the chocolate with us. 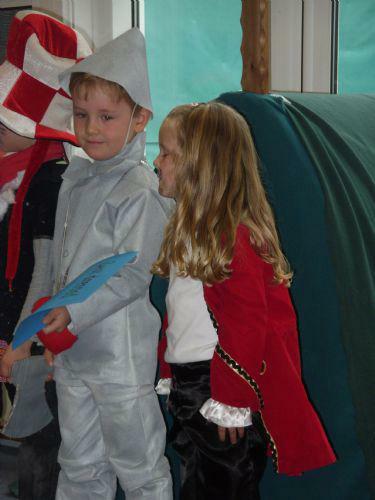 Congratulations to our 'Best Dressed Book Characters' in Class1. ICT Games during Spring 2012 There are a variety of games on this website which encourage the childrens thinking skills and promotes their laptop skills. In class we will be focussing on the shape activities. Phonics games We occasionally use this website in class as it has some very beneficial games to help children learn their letters and to read and make words.